If the SCRA applies to you, and you entered into a loan or any debt obligation before you started active duty, you have certain interest rate protections during your military service. The SCRA provides a 6% interest rate cap during a servicemember’s active duty. This means the lender cannot charge you above 6% no matter what the loan agreement says. All types of loans are covered: mortgages, auto loans, student loans (as of 2008, including federally-subsidized student loans), business loans, credit card balances prior to active duty, etc. The only way the lender can charge you more than 6% is if they show, and a court agrees, that your active duty status did not materially affect your ability to make payments. Most lenders will not try to make such a showing because they would have to start a lawsuit to do so (and you would be notified of the lawsuit). To receive the 6% interest rate cap, you have to send the lender a written request asking for it. You must also provide your military orders showing your active duty dates. Keep a copy of what you sent the lender in your files in case you later have to prove that you sent the request. You can send the written request once you receive your active duty orders, and up until 180 days after the end of your active duty period. The lender must recalculate your minimum monthly payment obligation using the 6% interest rate. Any interest above 6% must be forgiven, not just deferred. For mortgage loans, the 6% interest cap also applies to the 12 months after your active duty. If you send your written request for the 6% cap after you are already on active duty, the lender must apply the 6% retroactively to the beginning of your active duty and credit your account for any excess interest that was charged. For Reserve or National Guard members that go on active duty, the interest rate protection begins on the day you receive your orders, not the beginning date of your active duty. If you asked for the 6% interest rate cap under SCRA and the lender did not honor it or did not apply it retroactively to the beginning date of your protections, you may have a claim against the lender. Under the SCRA, you can ask for monetary damages if the lender violated the law. You can also recover costs and attorney fees if you have to bring an action to enforce your rights. Also, claims that are small individually, may be possible to bring as a class action. This gives the servicemember the opportunity to not only vindicate his or her rights under the SCRA, but also to vindicate the rights of other military members that had the same thing happen to them. Call the SCRA lawyers at Teske Katz Kitzer & Rochel to discuss your potential claim. 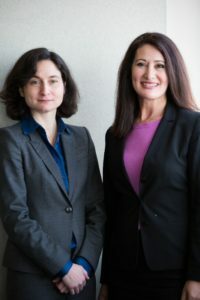 Teske Katz Kitzer & Rochel offers consultations regarding SCRA claims.